Think your in-laws are scary? Try meeting Paige Winterbourne's potential father-in-law: CEO of the Cortez Cabal, a multinational corporation...and the supernatural equivalent of the Mafia. Lucas Cortez has devoted his life to ruining the Cabals, though that doesn’t stop his father from expecting him to take over the family business someday. Benicio’s favorite ploy is to appeal to Lucas’s quixotic ideals by asking him to investigate Cabal cases of injustice. After years of failure, Benicio finally has the perfect case: a teenage witch attacked and left for dead. Refusing will be difficult enough for Lucas... near impossible for his new witch girlfriend. 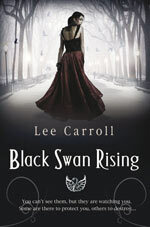 Paige and Lucas soon discover that the young witch wasn't the first Cabal teenager attacked. When the infighting among the Cabals threatens to let the killer continue his spree, Paige and Lucas decide it’s up to them to stop him. The chase takes them on a cross-country hunt through the supernatural world, where allies can be found in the strangest places, including a celebrity necromancer, a wise-cracking Celtic deity, a pissed-off ghost, a half-mad clairvoyant, and a group of vampires who’d really rather be in an Anne Rice novel. There is no bigger compliment for a series than, when you reach for the next part immediately after finishing the previous book. And that is exactly what I did after reading Dime Store Magic. Luckily Industrial Magic did not disappoint me. The book starts few months after the events of Dime Store Magic took place. The narrator, Paige, settles into her new life with sorcerer boyfriend Lucas and the ward Savannah. Trouble appears in the person of Lucas’ estranged father, Benicio, who finally found the perfect case to bring the black sheep back under the wing of the family’s corporation. When confronted with the attempted murder of a young witch, both Paige and Lucas agree to come to Miami and aid the Cabal investigation. The change of the surroundings does wonders for the action of Industrial Magic. The main characters get sucked into the swirl of people and places, which can be a bit confusing for the first time reader. 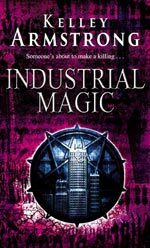 That is why I would rather not recommend reading Industrial Magic as a standalone story – treating it as a continuation of Dime Store Magic works so much better. The title of the whole series: Women of the Otherworld rightly suggests that the strength of the story lies in the female characters. Besides Paige we encounter the whole collection of them, from different magical races. There is more than a little crazy necromancer Jamie, dead witch Eve and finally the vampire Cassandra. I heard opinions that vampires in Kelley Armstrong’s stories seem to fade when confronted with other races. True, the majority of the population consists of pathetic Lestat wannabes in a serious need of fashion intervention. But Cassandra stands out. She is cleverly written with all the aloofness that makes vampires what they are and just the right dose of withdrawal that makes her nearly tragic. She’s probably the best female vampire character since Pam in Sookie Stackhouse series. Kelley Armstrong found in Industrial Magic the perfect balance between the vital elements of the story. Action scenes are nicely divided by the romantic encounters between the characters. Dialogues are witty and rather brief but they still manage to convey just enough trivia to satisfy all the fans of supernatural. It should be enough for a whole set of stars, if it wasn’t for the fact, that while writing those words I already read further parts of the series. Industrial Magic is good, but there is still better to come. Kelley Armstrong has many original short stories and a novella about the characters and creatures from her published books on her website (just follow the Extras link to ‘Online Fiction’.) Visit Kelley’s website.